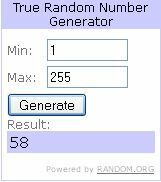 Erin Blegen: My Scrap Cabin: October Giveaway WINNERS & a Layout too~!! Good morning my dear scrappy friends~! I hope you are well :). I have a busy post for you this morning, so we best get to it. I'm going to announce both the winner of my October Giveaway, as well as the BONUS winner~ but because I love to make you wait it out, first I'm going to share a project with you that I created just a couple days ago. And honestly, I still don't know what to think of this one. I'm much more positive now than I was a couple of days ago...so I guess I look at it a little differently. At the time, I wasn't worried much about design or...anything, really! But now there are a couple things that don't sit too well...but that's okay! A BIG congrats to you!!! Please contact me (erin_divisionair@yahoo.com) within 7 days to claim your prize!! CONGRATS to you too, Amy~!! Please contact me (erin_divisionair@yahoo.com) within 7 days to claim your prize as well~!! As always, a big THANKS to everyone who took part in last month's giveaway! As you probably have noticed, I have a giveaway going on for November as well...at this point, I'm uncertain whether or not I will be doing a December giveaway due to the holidays and you all know how spendy they can be!! So I might be taking a break next month...so get in on my November giveaway okay? sometimes we don't know why those type of days happen to us. I feel that sometimes they help us learn a life lesson, sometimes they come to help us realize all the amazing days we actually have and sometimes it makes us realize the amazing people that surround us and be thankful for them. Either way when we are down (and of course all of us feel it, especially women) its very hard to become aware of the purpose of our sorrows, but if we do, its a life changing moment. This layout is beautiful in its art form but it is more beautiful because it signifies a certain awarness and change in you and I think that is what's magical about it especially for years to come. Kære Erin, jeg tror vi alle (især kvinder) har den slags dage, men godt at vide at det er noget forbigående, og dit LO er så skønt tænk du kan lave noget så smukt på en "øv" dag. jeg vil også lige ønske tillykke til de to vindere. knus morkaren. Sometimes life is hard Erin, but although you are not satisfied with your lo i still think it's gorgeous! Always such great details! And indeed, scrapbooking is very therapeutic on an off day! It really helps me to relax and put my mind of all the worries. But i think all scrapbookers feel the same about this! Hope you have a good week! Congrats to the lucky winners ! I'm sorry to hear you have been feeling a little down. Sometimes it just feels like we have to face all difficult things at the same time. Good for you that you decided to scrap about it - scrapbooking definitely works like therapy! It is an amazing lay-out, I think! hope your coming week will be much better! love yur layout so much! Trust me - I have those days too. You don't even want to know the details, but belive me whan I say I have them. Some times a long walk with the dog in the forrest is the best therapy, other days, ecpecially if I have been at work all day and it's dark and rainy when I finally get time to breathe, creating is the best. Your layout is so beautiful. I just love all the structure, the layers and the huge amount of pretty details - fabolous work! Erin, I'm so glad you're feeling better! I have plenty of those down days, so know that you're not alone. Your page is just gorgeous...and I love how you edited the photo & added the chippy on top of it. Just beautiful! The layout is beautiful, Erin! I know exactly how you felt because I had one of those days today---until I just read your blog post and saw that I won the October giveaway! Feeling much better now! I will contact you by e-mail with my information (I am in Pennsylvania). Thanks so much! Erin this layout is beautiful and I love that you created it as therapy!! I know those days too and I always find that being creative helps me get through it. I love the photo you used and the way you framed it with the chipboard!! Absolutely stunning!! I think life throws us days like this, just to remind us that we are lucky to have what we have. And creating a stunning page like this is great therapy and something to look back on to remind you that it's ok to have "our days" but to pull ourselves back up again. I just love that photo and the chippy piece over it and of course every other detail. I think your layout is wonderful, beautiful, and unique...just like you. I love it. That page is amazing Erin, love the photo and how you used the beads. 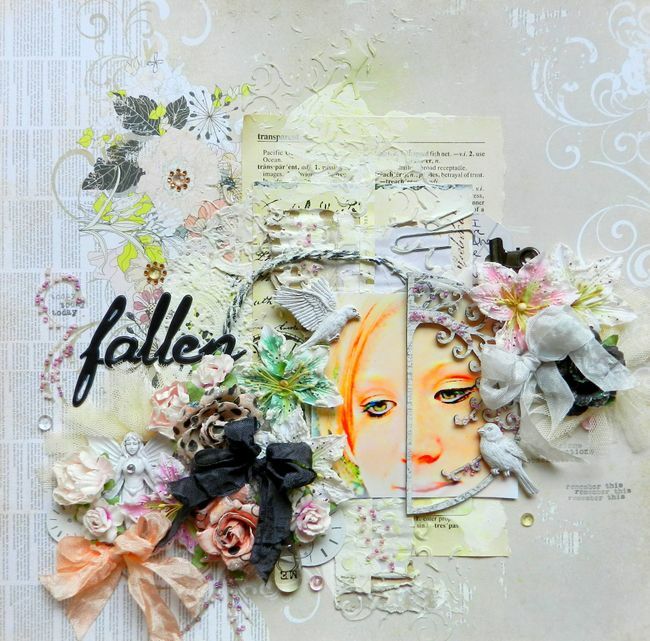 Its wonderful that you can use scrapbooking as a emotional tool. Congratulations to the winners of the giveaway too. And fabolous LO, Erin!!! I loved it!! Hi.. This layout is so pretty. Congrats to the lucky winners! And Erin your layout is beautiful, my Mom used to say a rainbow always follows a storm...we just can't always see it. I have finally come to understand what she meant by that! Hope you see "many rainbows" following your storm. Stunning amazing layout, and thanks for joining in at BITW! you've rocked another absolutely gorgeous layout Erin ... a.m.a.z.i.n.g. I am glad that things turned better - they always do! i think that this came amazing! the idea of the frame dividing your face in 2 is brilliant! i see so much emotions here! i thing you opened yourself here and i honestly don't notice anything that is not right - it is perfect and couldn't be ant better!!! It blows my mind that you could have any insecurities about this layout. It is seriously awesome. I love how its absolutely beautiful with a little bit of edgy. This is a favorite for me! Stunning work Erin! I know the feeling but you are very successful and no matter how hard it is at times behind the scenes you must not give up. Keep going because you are an inspiration to so many and such a talent and the scrapbooking world needs people like you who are gorgeous, sweet, funny, intelligent and seriously creative!! Gorgeous page Erin!! I hope your days are better now, we all have bad days.